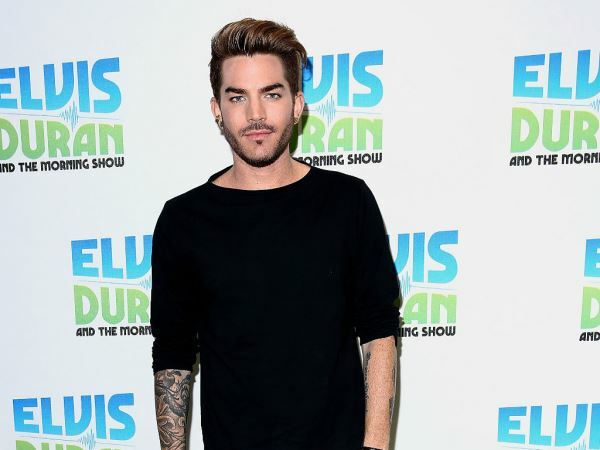 Adam Lambert feels most people are constantly seeking an “adrenaline rush”. The 33-year-old is currently promoting his third studio album The Original High, which marked its official release less than a week ago. And Adam has revealed the title for his LP is very conceptual. "I think we all have things in life that make us feel alive,” he explained to Access Hollywood. “Everybody's after that rush, after that feeling. Maybe it's love, maybe it's some sort of adrenaline rush. For me, performing – getting onstage in front of people, that makes me feel high as a kite. So for me, it's about looking back and kind of reminiscing about what was that thing that first made you feel that way, and is it possible to run back and get it or is that impossible, I don't know." The first single from The Original High is called Ghost Town. Adam thinks it’s amazing pop icon Madonna recently released a song called Ghosttown, but although the title similarity between their two distinct tracks is obvious, this wasn’t planned. "It was definitely a coincidence," Adam said. "My song was already mixed and we had already decided it was the first single, like back [in] the fall of last year and then her tracklisting came out and I saw it on iTunes and I saw Ghosttown, and I went, 'What? What are the chances?' Especially because I'm a Madonna fan. I definitely love her and I watch her work, so it felt strange, but you know the songs are so different, that… once I heard her song I was like, 'Oh, OK. Hers is like this, mine's like this.' It's fine."